David Boulard - Ensyn - Renewable Fuels and Chemicals from Non-Food Biomass. Mr. Boulard is the Chief Financial Officer of Ensyn Corporation and is also responsible for Ensyn’s Canadian operations. David developed and financed Ensyn’s first company-owned biocrude production facility, in Renfrew, Ontario, working closely with several Canadian government agencies mandated to advance clean technologies. 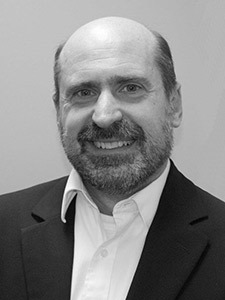 In carrying out his role, David serves as President of Ensyn Technologies, Inc. David has an extensive background in the cleantech sector and is a former Chairman of the Canadian Federal Government’s Technology Roadmap on Bio-Products. Prior to joining Ensyn, David held senior management positions at Canada’s largest telecom company, as well as with PricewaterhouseCoopers. In both positions he designed and implemented international and cross-border business transactions in Brazil, Chile, South Korea, India and China. David is a member of the Chartered Accountants of Ontario.